Sotheby's Australia is the exclusive agent who represents the Albert & Barbara Tucker Foundation. Albert Tucker belongs to the generation of Australian artists – which included Russell Drysdale and Sidney Nolan – whose images of rural and outback Australia defined for many what it was to be Australian. Tucker’s first sustained series of the Australian landscape evolved during his period in Europe and the United States of America between 1947 and 1960. Living abroad, Tucker reflected upon his ‘Australianness’ and developed images that both acknowledged his European experiences and simultaneously introduced new techniques that influenced his subsequent iconography. Compared to many of his contemporaries, Tucker produced relatively few paintings. 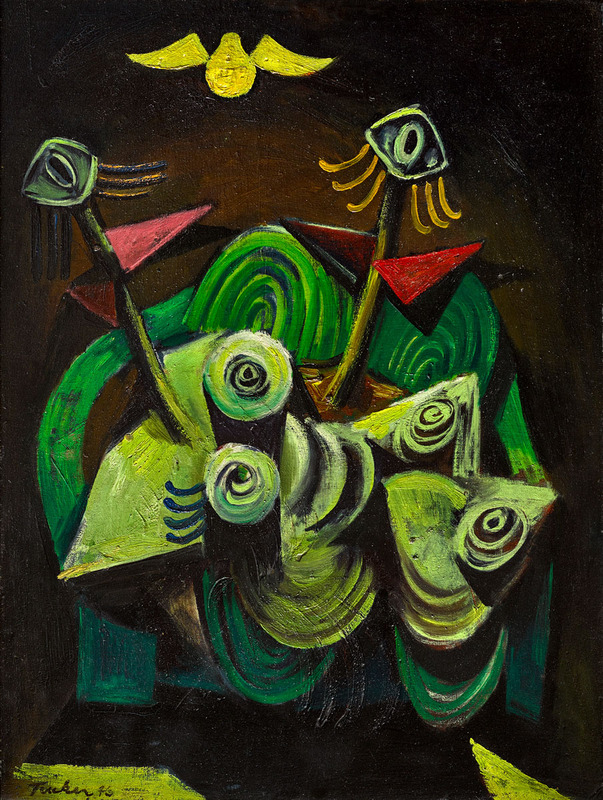 A large percentage of these reside in public institutions, including The Museum of Modern Art, New York; The Solomon R. Guggenheim Museum, New York; Art Gallery of New South Wales, Sydney; Heide Museum of Modern Art, Melbourne; National Gallery of Australia, Canberra; National Gallery of Victoria, Melbourne; and Queensland Art Gallery, Brisbane. ALBERT TUCKER 1914-1999, Image of Modern Evil 29 1946. Sold for $1,159,000 November 2017 by Sotheby's Australia. World auction record for the artist. © Albert & Barbara Tucker Foundation. Courtesy of Sotheby's Australia. Sotheby's Australia is the exclusive agent who represents the Estate of the Late David Larwill. David Larwill was a pioneer and leader of a distinctive genre of exuberant, larrikin neo-expressionism that emerged in Australian painting in the 1980s. His premature death in 2011 marked the end of a remarkable career that left an indelible impact on the history and development of Australian art. David Larwill is represented in numerous important public, corporate and private collections in Australia and overseas: including the National Gallery of Australia, Canberra; National Gallery of Victoria, Melbourne; Museum of Contemporary Art, Sydney; Museum of Modern Art at Heide, Melbourne; The Australian Football League Collection, Melbourne; The Holmes à Court Collection, Perth and the British Museum, London. DAVID LARWILL 1956-2011 Contemplating His Place in Humanity 2011. For private sale. © The Estate of David Larwill. Courtesy of Fiona Larwill and Sotheby's Australia. 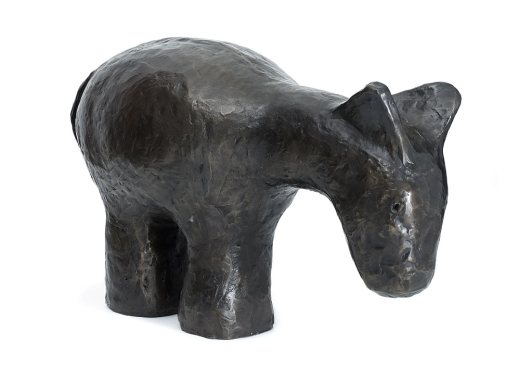 Sotheby’s Australia is the exclusive Australian agent for the promotion and sale of sculptures by internationally renowned artist John Kelly. Known for his large sculptures and paintings of cows, Kelly has had a wide and varied career, establishing a unique and distinguished contemporary style. Kelly’s sculptures have also been featured on the Champs Elysées, Paris, in Les Champs de la Sculpture, 1999 and Monte Carlo, in La Parade des Animaux, 2002, as well as The Hague, 2007 and Melbourne Docklands (2001 to present). Kelly’s three-dimensional work has also featured in the Guangzhou Triennale (2008) and the Goteborg Biennale 2011. Kelly’s most recent commission is Man Lifting Cow for the Brimbank City Council. This 5.5 metre high sculpture stands opposite the new Brimbank Community and Civic Centre in Sunshine, Victoria. 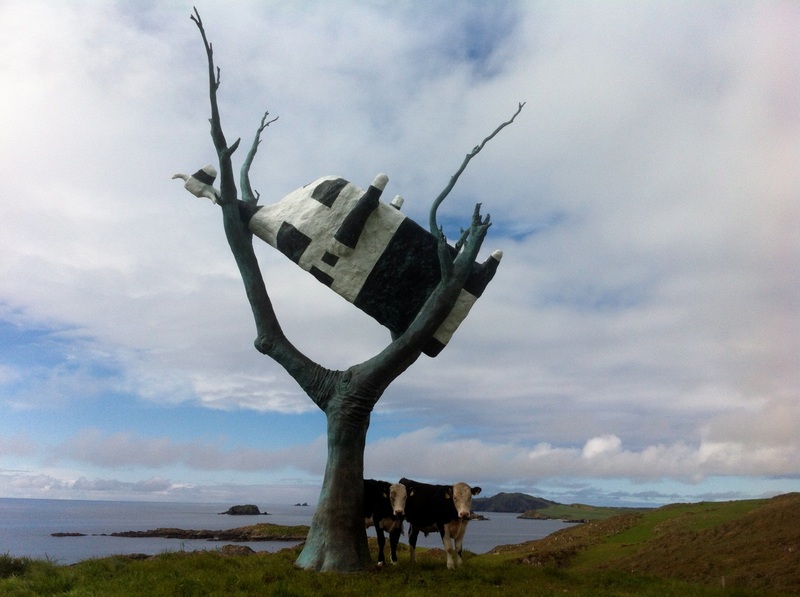 JOHN KELLY, born 1965, Cow up a Tree 1999. Sotheby’s Australia is the exclusive Australian agent for the promotion and sale of works of art by internationally renowned artist Criss Canning. Canning is widely acclaimed for her meticulous still-life subjects inspired by her immediate environment that includes flowers sourced from her gardens outside Ballarat. 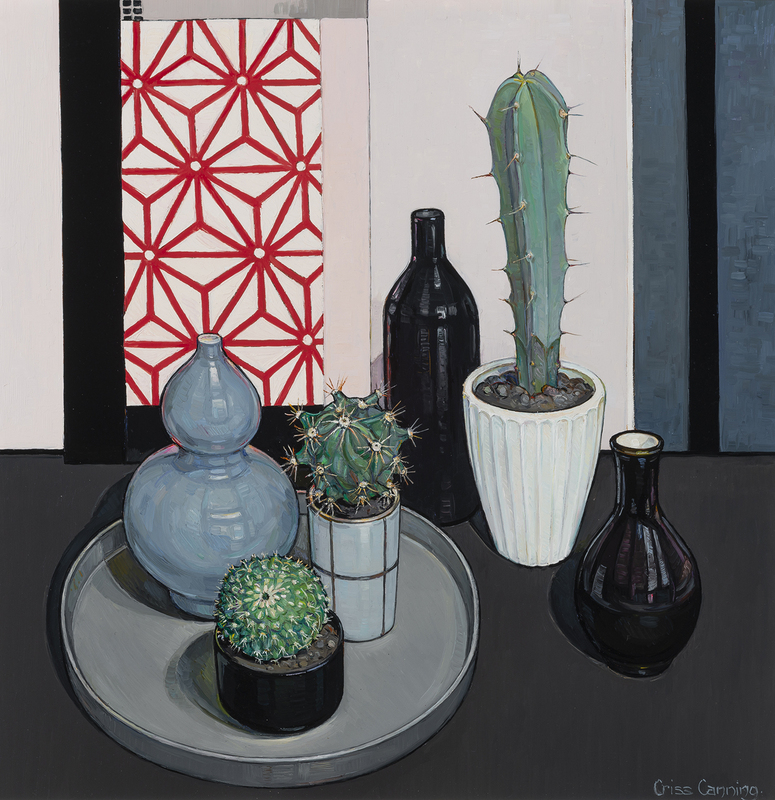 Canning has enjoyed an extensive career as an artist, establishing a unique and distinguished contemporary style in the genre of still-life within a sharp modernist framework, whilst integrating traditional and contemporary references and techniques. Canning’s works are held in the National Gallery of Australia, Canberra; Art Gallery of New South Wales, Sydney; Art Gallery of Ballarat, Ballarat; Castlemaine Art Museum, Castlemaine; Cairns Art Gallery, Cairns; Artbank, Melbourne, and private collections in Australia, Canada, France, Hong Kong, Singapore, United Kingdom, and the United States of America. CRISS CANNING, born 1947, Three Cactus 2018. For private sale.